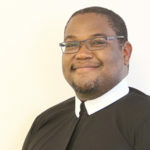 Father Ako Trevor Walker, C.Ss.R., was ordained to the priesthood on February 16, 2019, in Trinidad, his native country. The presiding bishop was The Most Rev. Gerard M. County, C.S.Sp., of Kingstown, St. Vincent, and Grenadines, Antilles. The Mass took place at the Church of the Assumption in Maraval, Port of Spain, Trinidad. We hope you’ll enjoy this video tribute to Our Mother of Perpetual Help. 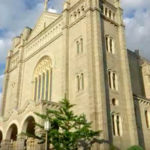 On Sunday, September 24, the community of the Basilica of Our Lady of Perpetual Help in Brooklyn opened its 125th Jubilee Year with a Mass and party. Father John Murray appears on Pat Robertson’s 700 Club to talk about his healing. View the video. Our Mother of Perpetual Help Church in Ephrata, Pa.